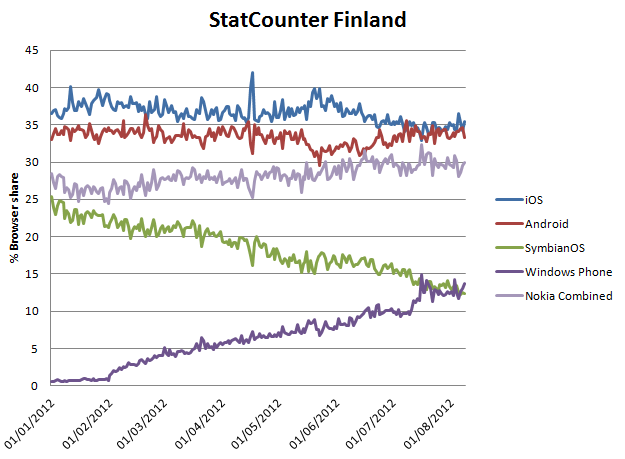 It has been expected for some time, given the trajectory of both Symbian and Windows Phone in Finland, but Statcounter has now finally made it official. 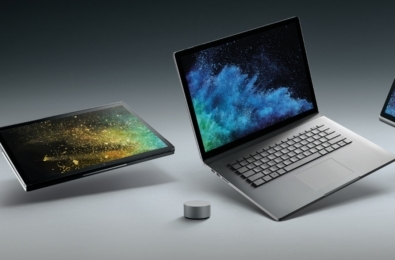 Boyed by a strong July, the browser usage share of Windows Phone now finally exceeds Symbian in the country, with Windows Phone hitting 13.7%, while Symbian sits on 12.35%. All this share is of course due to Nokiaâ€™s Lumia range, and it is interesting to see that, when combining all Nokiaâ€™s platforms (purple line) the company has in fact managed to claw back market share slowly over the course of this year, hitting around 30% and effectively preventing any further market share gains by both iOS and Android. Of course Finland is not the world, but it does go to show that Windows Phone can be a competitive mass market product with significant market share. See the data at Statcounter here.